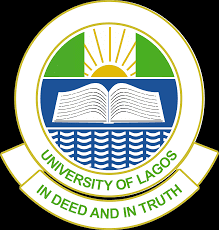 The University Of Lagos, [UNILAG] Bans Students from Making Use of Boys' Quarters In Campus Due to Illegal/Criminal Activities. The attention of the University Management has been drawn to the spate of illegal/criminal activities perpetrated by students and non-students at boys’ quarters attached to staff quarters on campus. Management has also noted with dismay that some University staff let out their boys’ quarters to students and non-students for commercial purposes, thus contributing to the nefarious activities being carried out on campus. In view of the above, Management has directed that, henceforth, boys’ quarters should no longer be inhabited by students. Also, University staff should desist from letting out boys’ quarters attached to their official residence for commercial purposes. Failure to comply with this directive will lead to forfeiture of the boys’ quarters by the member of staff and appropriate sanctions meted.